The Foundation Committee held its inaugural meeting in July 2016 to oversee the formation of the Alliance. Chaired by former Victorian Premier, the Honourable John Brumby, the committee is made up of executive level representation from many of the most influential actors in global health operating out of Melbourne, and highlights the diversity of the sector, representing players from research, education, biotechnology, service delivery and advocacy. Committee members are drawn from The Australian Red Cross, BioMelbourne Network, Burnet Institute, The Fred Hollows Foundation, Global Ideas Forum, the Jean Hailes Research Unit at Monash University, Medicines Development for Global Health, The Nossal Institute for Global Health, Save the Children and the University of Melbourne. 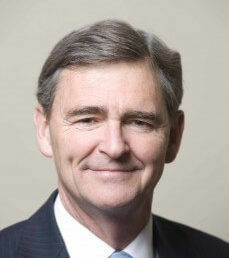 The Hon John Brumby was the former Premier of Victoria (2007 – 2010) and has immense experience in public life serving for more than 10 years as Treasurer and then Premier of Victoria, 6 years as Leader of the Victorian Opposition and 7 years as Federal MHR for Bendigo during the period of the Hawke Government. Since retiring from politics, Mr Brumby has accepted a number of appointments in both the business and not-for-profit sectors, including: Professorial Fellow at both the University of Melbourne and Monash University; Chairman of the Motor Trades Association of Australia (MTAA) Superannuation Fund; Chair of the Olivia Newton-John Cancer Research Institute; Chair of the Fred Hollows Foundation; Chair of National Centre for Workplace Leadership; and National President of the Australia China Business Council. Professor Ewen is Pro Vice-Chancellor (Indigenous) at the University of Melbourne and Foundation Director of the Melbourne Poche Centre for Indigenous Health in the Faculty of Medicine, Dentistry and Health Sciences at the University of Melbourne. In his role as PVC Professor Ewen has responsibility for institutional policy, strategy and advice in relation to all aspects of Indigenous higher education. As Foundation Director of the Melbourne Poche Centre he provides academic leadership to the Centre and maintains a strong sense of Indigenous leadership in the health and higher education sectors. 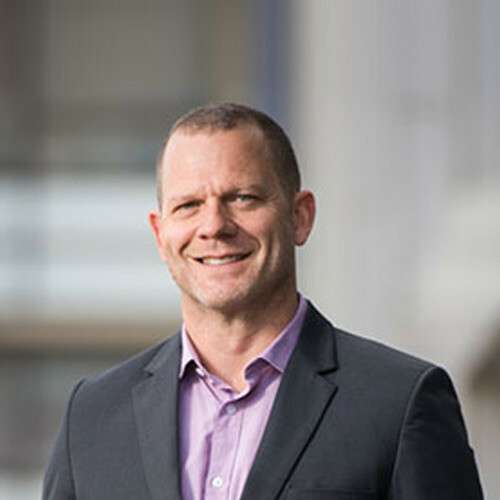 Professor Ewen held the position of Associate Dean (Indigenous Development) from its inception in 2010 until his recent appointment to Pro Vice-Chancellor in 2017. In this role he was charged with progressing the Indigenous development agenda, in concert with the Reconciliation Action Plan, for the Faculty. He also provides the academic and Indigenous leadership for the Leaders in Indigenous Medical Education (LIME) project, a bi-national project of Medical Deans Australia and New Zealand. Professor Ewen has a clinical background in physiotherapy, and holds postgraduate qualifications in international relations and education. His area of research expertise relates to Indigenous health and health professional education. Since 2017 Misha has led the Alliance, which is a peak body for global health organisations in Australia and which currently has 40 organisational members across nine organisational types. Misha has significant experience in leadership roles in global health in government and the not-for-profit sector, with post-graduate qualifications in international development, women’s health, community development, monitoring and evaluation, project design and management, governance and compliance. In 2018 she authored Victoria’s first international Health Sector Capacity Report, and the Alliance has recently been funded to scope out Australia’s first Centre for WHO Collaboration- designed to provide support to Australia and New Zealand’s 52 WHO Collaborating Centres. Misha has extensive experience living and working in countries including Bougainville, Palestine, Ethiopia, Kenya, Vietnam and Cambodia. 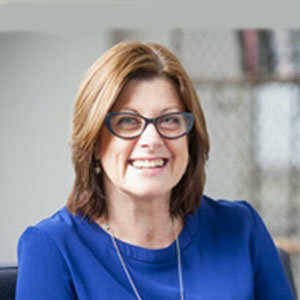 She was formerly the CEO of Anglican Overseas Aid, and has also worked in several roles at AusAID, as the Country Manager of the Australian Centre for International Agricultural Research at the Australian Embassy in Hanoi, and she has led Asian Development Bank and US Government aid programs in the Asia-pacific region. She was formerly a midwife and worked in South African townships during apartheid and in several Australian indigenous communities. 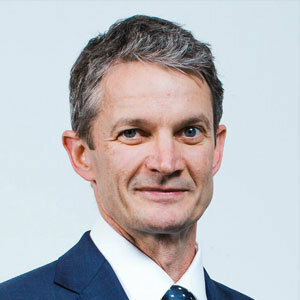 Professor Brendan Crabb AC is the Director and CEO of Burnet Institute and the current Chair of the Victorian Chapter of the Association of Australian Medical Research Institutes. He was President of the Association of Australian Medical Research Institutes from 2012 -2014. Professor Crabb was awarded a Companion of the Order of Australia (AC) for his contributions to medical research and global health in the 2015 Australia Day honours. He is a medical researcher and health administrator and advocate committed to improving the lives of poor, vulnerable and marginalised communities. Professor Crabb is a molecular biologist with a particular interest in infectious diseases and in health issues of the developing world. appointments at The University of Melbourne and Monash University. Until his appointment as Director of Burnet Institute he was a Senior Principal Research Fellow of the National Health & Medical Research Council of Australia, and an International Research Fellow of the US-based Howard Hughes Medical Institute. 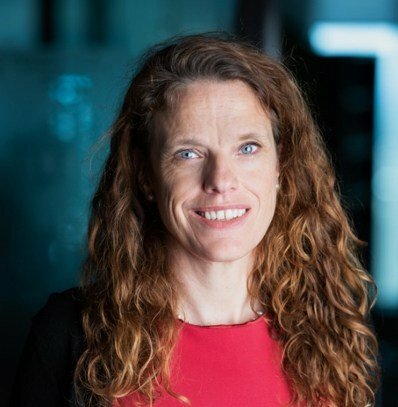 Dr Krystal Evans was appointed Chief Executive Officer of the BioMelbourne Network in July 2014 and has over 15 years’ experience in the biomedical research sector. Krystal’s skills in government affairs, stakeholder relations and business development underpin her commitment to advancing Victoria’s unique position as a global destination for life sciences and health technology. 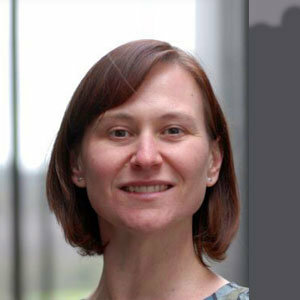 Krystal is a leading advocate for science and technology, and was a founding member and Chair of the Australian Academy of Science’s Early and Mid-Career Researcher Forum. A champion of the 2011 “Discoveries Need Dollars” campaign, she led the Melbourne “Rally for Research” to protect funding for medical research in Australia. Krystal is an articulate and popular spokesperson, and is a regular presenter on Melbourne community radio station 3RRRFM’s science show “Einstein A-Go-Go”. Krystal has an undergraduate degree in medicinal chemistry and holds a PhD in medical biology, undertaken at the Walter and Eliza Hall Institute. Formerly, Krystal led a malaria vaccine development program at the Walter and Eliza Hall Institute, which attracted funding from the Bill and Melinda Gates Foundation, the NHMRC and Commercialisation Australia. In this role she was responsible for positioning lead malaria vaccine candidates for progression into early-phase clinical trials. Helen Evans served as Deputy Chief Executive Officer at Gavi, The Vaccine Alliance based in Geneva from 2009 until her retirement in 2014. Prior to joining Gavi, she served as Deputy Executive Director at the Global Fund to Fight AIDS, Tuberculosis and Malaria between 2005 and 2009. She is an expert in public health and development and social policy. In the early 1990s Helen managed the National Communicable Diseases Program in the Australian Department of Health. For seven years prior to moving to take up her position as deputy at The Global Fund she headed up the Australian Government Office for Aboriginal and Torres Strait Islander Health. Ms. Evans has been involved in the work of a range of international health and development organisations including serving on the inaugural board of UNAIDS. Now based in Melbourne she currently acts as Special Advisor to the Gavi CEO in the Asia Pacific Region, has an honourary appointment as Associate Professor at the Nossal Institute for Global Health at the University of Melbourne, sits on the Advisory Council of Pacific Friends of the Global Fund to Fight AIDS, Tuberculosis and Malaria, and is a board member of The Fred Hollows Foundation and the Burnet Institute. Jennifer was recently appointed the Director of Global Partnerships and Advocacy at Fred Hollows Foundation. 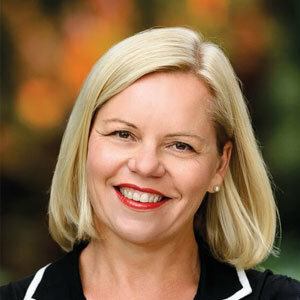 Previously CEO for Vision 2020 Australia and a member of the executive team of World Vision Australia and Department of Health, Jennifer is now internationally recognised as a not-for-profit/public sector strategist, leader and sought after speaker. Jennifer utilises her expertise in change management and communications to cultivate organisational cultures that involve and foster consensus and commitment towards common goals. This coupled with Jennifer’s strong track record of strategic resource mobilisation and integration of effective advocacy and public relations activities leading to greater funding opportunities and cost minimisation is further demonstration of her abilities. 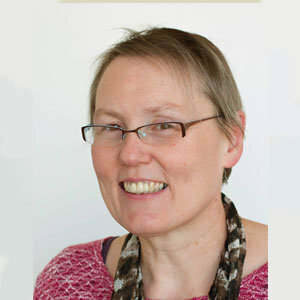 Jane Fisher, Director of the Jean Hailes Research Unit, is an academic Clinical and Health Psychologist with longstanding interests in the social determinants of health. Her research focuses on gender-based risks to women’s mental health and psychological functioning from adolescence to mid-life, in particular related to fertility, conception, pregnancy, the perinatal period and chronic non-communicable diseases; and on parenting capabilities and early childhood development in low- and high-income settings. She has completed major epidemiological studies in clinical and community settings in Australia and Vietnam, nationally funded intervention trials, and has supervised more than 30 research higher degree and postgraduate coursework projects to completion. She is an expert technical advisor to international agencies including the World Health Organization, UNICEF and the United Nations Population Fund. 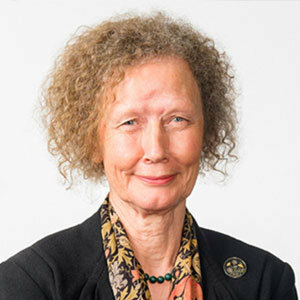 Professor Barbara McPake is the Director of the Nossal Institute for Global Health. 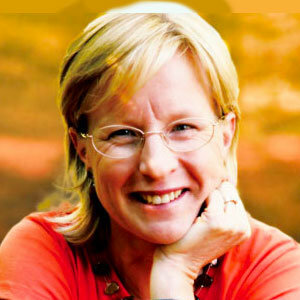 She is a health economist and international leader in the study of health systems and financing in emerging economies. Barbara was at the London School of Hygiene and Tropical Medicine and the Queen Margaret University in Edinburgh. Her research includes studies in Africa, South and Southeast Asia and her extensive work has been published in leading international journals. Paul Ronalds is a leading voice on poverty eradication and international development. His diverse background encompasses senior executive roles across government, the private sector and not-for-profits. Prior to joining Save the Children as Chief Executive Officer in 2013, Paul was First Assistant Secretary responsible for the Office of Work and Family in the Department of Prime Minister and Cabinet. In this role, he provided advice to the Prime Minister on a broad range of social and economic policies designed to assist families and communities. 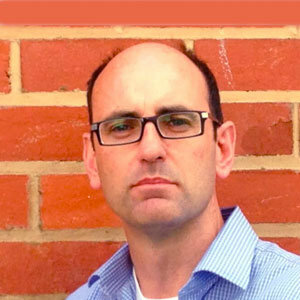 In the NGO sector, Paul worked for World Vision Australia as Deputy Chief Executive Officer and Director of Strategy. He was also Chief Operating Officer of Urban Seed, an innovative and dynamic NGO that provides a range of services to marginalised people in Melbourne’s inner city. 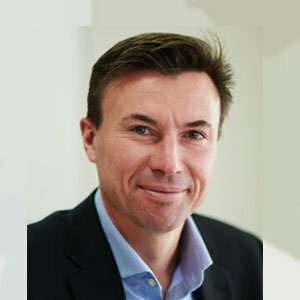 Paul has worked as a corporate lawyer and co-founded wishlist.com.au, one of Australia’s most successful e-commerce companies. Paul has degrees in Economics and Law with Honours from Monash University, a Graduate Diploma in Applied Finance and a Masters in International Relations from Deakin University. He is the author of The Change Imperative: Creating a Next Generation NGO, a book that examines the challenges faced by international NGOs in a rapidly evolving global political context. Mark has over 20 years’ experience in the development of small molecules, therapeutic and prophylactic vaccines and microbicides. This experience includes 10 years with Glaxo (now GSK) at their research and development headquarters in London, United Kingdom, two years with Gilead Sciences at their head office in San Francisco, USA and three years at University of New South Wales. Mark has a clinical research background which encompasses first-in-human, proof-of-concept, pivotal phase II and III, phase IIIb and phase IV studies and regulatory submissions (two New Drug Applications). Judy has recently joined the Red Cross after seven years as global Chief Operating Officer for WWF (World Wide Fund for Nature). In this role Judy was responsible for the operations of the Secretariat and field programme offices, for global corporate engagement and partnerships, for WWF performance measurement and for supporting the Director General on developing and implementing strategy for how WWF evolved as a Network given global trends. Before that, Judy was the Chief Executive Officer of Lonely Planet Publications for six years. Lonely Planet is the world’s leading travel publisher with around 400 staff and 350 freelance travel writers. In her last year, Judy supported the sale of Lonely Planet to BBC Worldwide. Before joining Lonely Planet Judy worked with a Silicon Valley start up to launch in Australia. She did this for 18 months while waiting until ‘the right job came along’ after she left Telstra. At Telstra, Judy was the Chief of Consumer Sales responsible for over 6 million customers, over $4 billion in turnover and 5,000 staff. Judy has also worked in the Australian government across a number of portfolios: Industrial Relations, Transport and Communications, Finance, Child Care and Social Security, including advising Ministers. She is also a keen cyclist and took a gap year when she cycled 6,000 kilometres from Greece to Norway. 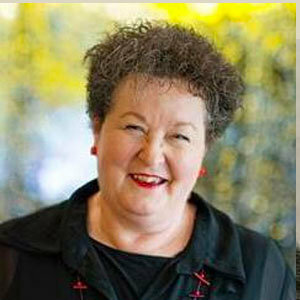 Judy holds an MBA from Sydney University and a Bachelor of Arts from the University of Canberra. She also attended a six week executive MBA at Stanford University while at Telstra. Deputy Director (Education) at Monash Sustainable Development Institute, Monash University. Annette’s research applies socio-technical transition theories to water contexts, with the aim to increase human and environmental health and wellbeing. She also examines how experimental governance processes impact transformational change for sustainable futures. Prior to joining Monash University, Annette was involved in research, consultancy and education projects related to water, sanitation and health in Europe as well as Africa. Throughout her career she has worked extensively with international organisations (i.e. UN-Habitat, the WorldBank, WHO), government, industry, and NGOs.